With introduction of functional interfaces and Lambda expressions there are some new APIs introduced in collection class. In this post we will look at those. So you basically iterate on your collection using a iterator and remove all elements that match your predicate condition. As you can see all Strings in the list starting with 'I' are removed as defined by the predicate. NOTE : Recollect UnaryOperator takes a single argument of type t and returns a value of same type t. If you wish to recollect common functional interfaces check out the links in the Related links section below. It lets you take an action for all the elements in the List. Lets see this now. If old value is null, bifunction is never called. If mapping function returns null key is removed from the Map. In Java 8 Date/Time APIs are completely revamped. Most of them are in java.time. * package. We will look at them now. LocalDate : Contains date. No time or timezone. LocalTime : Contains time. No date or timezone. LocalDateTime : Contains date and time but not the timezone. ZonedDateTime : Contains date and time with the timezone. 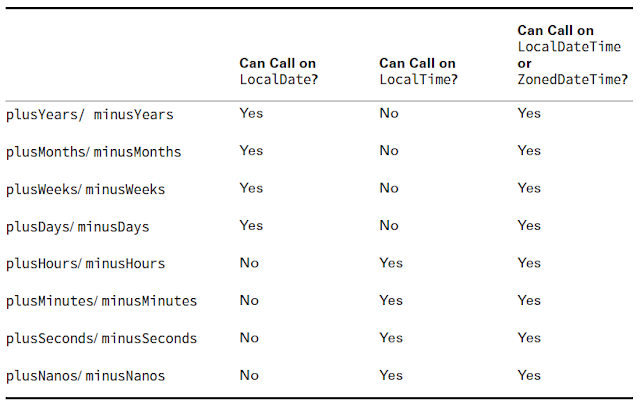 NOTE : Notice how T separator is used to separate Date and time in the output of LocalDateTime and ZonedDateTime. In the output of ZonedDateTime what you see as +5.30 is relative to GMT. So current time in Asia/Kolkata time zone is 5hours 30 minutes ahead of GMT. NOTE : month starts with 1 (end at 12) unlike normal convention used Java which is 0 based. Also Month is an enum. You cannot compare it with int. NOTE : Notice how you can can use a LocalDate and LocaleTime instance to create a LocalDateTime instance. NOTE : Notice how each constructor needs a ZoneId instance. It basically tells what time zone we are working with. You can print out all the ZoneIds available or filter it to suit your needs. NOTE : 2012 and 2016 are leap years. Period is well span of LocalDate. That means span consisting of Year, Month, Day, Week etc. NOTE : There is no time involvement in Periods. You cannot use Period with LocalTime.Also note you cannot concatenate Period methods. Well you can technically but only last one will be picked and used since these are static methods. Eg. Now lets analyze this string. It starts with a P denoting it's a period. Then you have Y for years, M for months and D for day. If any of the parameters are not present then Java simply omits it (it will not say 0M). Also values greater than expected limit is fine. You can give months value as 14 and Java takes care of it. Same as Period but works with LocalTime rather than LocalDate. Like Period began with P Duration begins with PT (Period of time). As Period had parameters - Years,Months,Days - Y,M,D duration has Hours.Minutes,Seconds H,M,S. Do not mix Period with Time and Duration with Date. Period is intended to be used with Date and Duration with Time. Refer following picture for reference. That's a second and some time needed for processing. You cannot use Instant with LocalDate or LocalTime or LocalDateTime. It has to be ZonedDateTime since it is associated with a time zone. NOTE : Instant is related to ZonedDateTime but it always corresponds to GMT i.e point in time as per GMT. Daylight savings time is obeserved in some countries. In this clock is adjusted by an hour twice a year to make better use of the sunlight. This transition happens on Weekend Sunday 2 AM. So when clock is at 2 AM it is moved to 3 AM. This will output 1,1,3. While the values are two hours apart, the time zone offset changes as well, making it only change from 6:30 GMT to 7:30 GMT. NOTE : Java is smart enough to adjust for daylight savings time. So you don't have to worry about handling it in code. Logic may differ but you don't have to worry that it might cause exception or error. JDBC stands for Java database connectivity. This includes connecting to DB in Java, running queries and processing results. JDBC APIs. You get a connection, create a statement and get result set of the query. Use JPA(Java persistence API). This uses a concept called ORM (Object relational mapping) where you map Java objects to tables and operate on these objects. For eg. hibernate is one such framework. SQL (Structured query language) is used to interact with the relational DB. In this post we are going to understand JDBC. ResultSet : Knows the result returned by the SQL query from the DB. Above code snippet uses mysql DB but you can use any DB really. There are some common things that we sill see in a moment. NOTE : You no longer have to explicitly load the driver class using Class.ForName(driver). From JDBC 4 driver class is automatically loaded from the class path. NOTE : If you get exception like "java.sql.SQLException: No suitable driver found for..." then the driver is not present on the classpath. Add it. NOTE : ResultSet points to a location before 1st row when it is result. To access the data you need to call rs.next() which returns a boolean stating if more result is present. If it does you can access it via rs.getInt(1) etc. NOTE : Column indexes start with 1. So something like rs.getInt(0)will throw SQL exception. NOTE : It is very important to close resources in the right order. If you don't want to close it manually you can always use it under try with resource statements so that Java closes them for you. If doing manually you can close it in finally statement with null checks. Why do we use a DataSource instead of a DriverManager? Client app need not know about the DB details, username , password. App server will take care of it. With datasource all you need is a jndi name properties of which can be configured at app level. App server takes care of creating and closing connections. You don’t have to manage it in your client application. Data source has support for creating pool of connection whereas data manager does not. Performance: A PreparedStatement figures out a plan to run the SQL and remembers it. Helps when same query is run multiple times. Databases like sql server or oracle databases have execution plan cache. They can resue the execution plan while running the same query again. This saved efforts in rebuilding execution plan. However this will work only when the sql query is exactly the same. If it has different values than db treats it as different query. In case of Prepared statements in which we use bind parameters we use placeholders so that the query remains the same and subsequently the execution plan. Bind parameters are hidden to the database query optimizer. Security: To prevent SQL injection. It's a famous hacking technique. Go ahead read it up on google. Readability: No String concatenations in building queries. In one of the previous posts we saw how we can traverse a directory in Java as part of NIO.2 APIs introduced in Java 8 using walkFileTree method and Path and FileVisitor arguments. 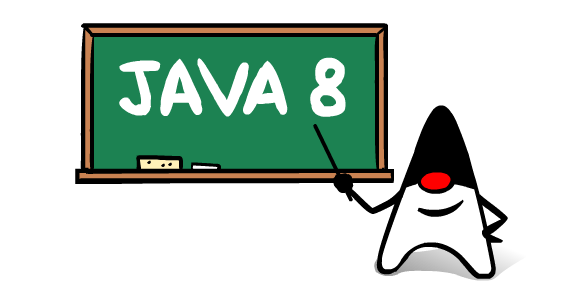 In this post we will try to do the same thing but with stream APIs introduced in Java8. In this we will use Files.walk(path) method that returns a Stream<Path> instance and traverse the directories in dept first pattern. This is lazy implementation which mean child directories are not actually loaded until it's parent is traversed. In previous post we say how we can filter .java files using PathMatcher interface. In this post we will see how easy it is with Streams. As you can see it does a depth first search. NOTE : By default the directories depth searched is Integer.MAX_VALUE. Keeping it default and having a deep/large directory structure may take a lot of time to search. So the walk method has an overloaded method that takes in integer parameter (walk(Path,int)) denoting dept of directories to be searched. 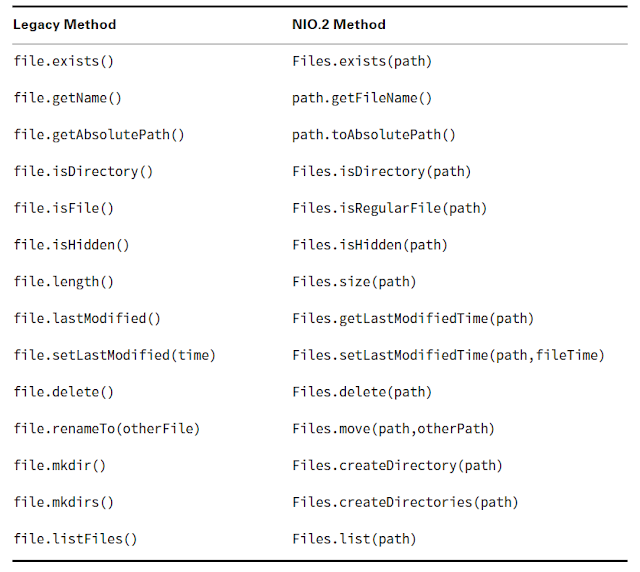 NOTE : Unlike earlier NIO.2 methods walk by default will not traverse symbolic links. This is to avoid traversing unnecessary paths or cyclic paths. But if you do wish to track symbolic links you can provide FOLLOW_LINKS option as a vararg to the walk() method. However you should provide a depth is this case to avoid unnecessary traversals. Also walk method keeps track of path traversed and if t detects a loop it will throws FileSystemLoopException. NOTE : Notice how Files.list() traverses only 1 depth unlike Files.find() which traverses till the depth provided. Also notice how each method throws IOException since file may not actually be present.